Hello everyone, hope that you are all well and enjoying the prospect of your weekend.I have had a pretty productive few days even with still being on light duties. 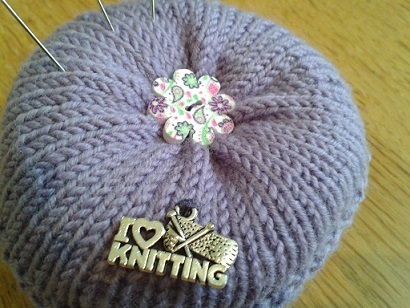 Have cut back on my planned sewing and knitting for the time being to give my wrist a rest and have been enjoying the delights of the Liberty stash packs that Kerry and Ellie bought me for Christmas from Very Berry fabrics. 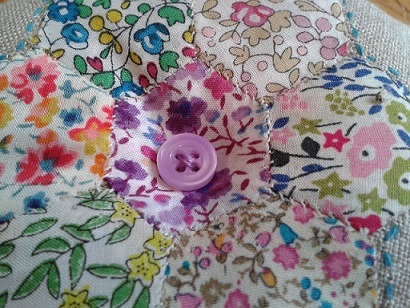 I was very late to the love of Liberty party, it was only really when I went to the brooch making workshop last year that I realised how useful the little prints could be and since then have been inspired by blogs like Nana Company. 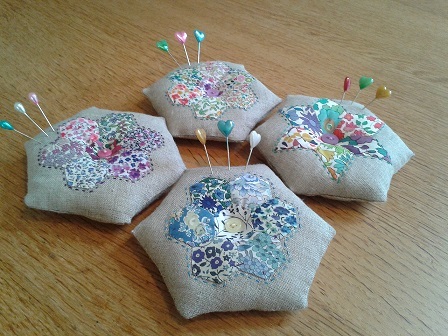 So here is the fruit of my labours, have still to put together the needlebooks as I am busy making more pretty hexagons for these which it is a little bit addictive. That and a boxed set on Sky and I am very happily entertained! Am currently avidly watching Falling Skies, a series set after an alien invasion which is very edge of your seat stuff. 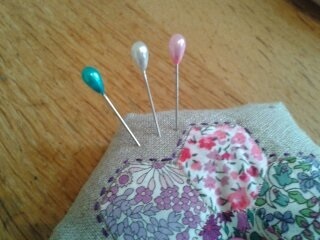 I have given each pincushion some little coordinated pins, these were recently obtained from EBay, don’t know which I like best, flowers, hearts, drops or leaves as they are all so pretty. 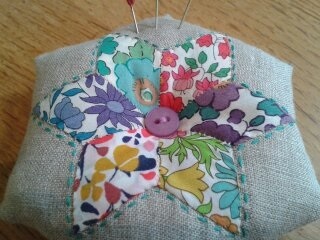 I have also been finishing off the little knitted pincushions, have added charms and altered the one I made earlier using ribbons to do the divisions rather than thread which I think makes it look very cute. 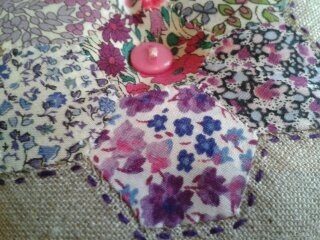 Well I shall love you and leave you now and get back to the hard slog of television and stitching! 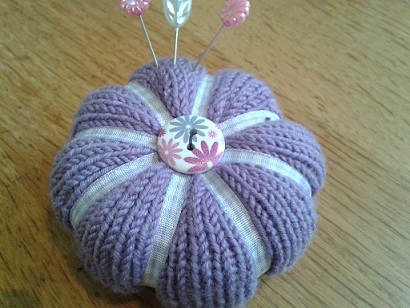 Yes, the ribbon on the knitted pincushion does create a very pleasing effect, doesn’t it!